Baby Caden, the son of one of my best friends, is finally getting his own room. This day has been much talked about, debated, and anticipated...and now it's finally here. Since they're in an apartment, Sara wanted a plan to add some zujjh to his new digs but clearly, not go all out since they won't be there long. Clean Color Palette. Clean, meaning, tight. Think sophisticated baby. Modern & fashionable, but not overly trendy. Just like his momma. Bold Walls. Throw some stripes on that bish. Navy blue, horizontal, 11inch-wide stripes, to be exact. Sara loves stripes, she loves to dress Caden in stripes, so it's only fitting that he live in some too. Industrial lighting. I LOVE these oversized Hektar pendants from Ikea and always wanted to use one in the center of a room. Done! Fun Art. Etsy is my go-to place for inexpensive & interesting art. I love things that can be personalized like the Date Print Art by The Memory Gallery. Can't beat custom anything for less than dinner for 4 at the Doghouse Grill (only Fresno people would get that). Easy storage. It's not shown on the plan, but the dresser will anchor 2 floating shelves to provide easy access for diapers, keepsakes, and anything else they want to keep away from Caden's active hands. Simple drapery. Sometimes the wheel just doesn't need to be reinvented. Custom drapery is always a splurge, but it's really not necessary for a space like this. Blackout Werna drapery panels in Dark Blue can frame his wall of windows and also block the light when it's time for the most important part of the day...nap time. Classic Frames. Unless you're ready to drop the dough that custom framing requires, there are few reasons not to use the Ribba frames. We'll use 6 to anchor the wall behind his crib and highlight their first family photos....'cause who wouldn't want to go to sleep looking at a face like this?? 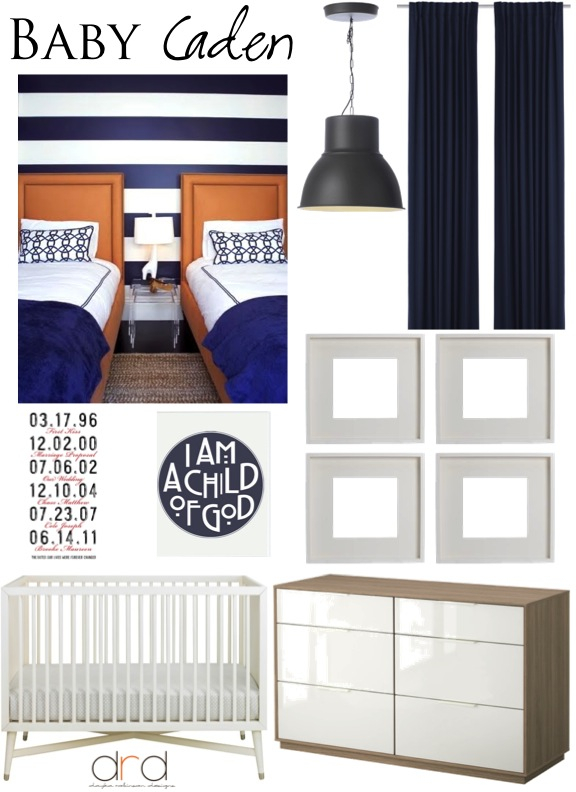 Nursery design for under $1000? You see, it really IS possible. 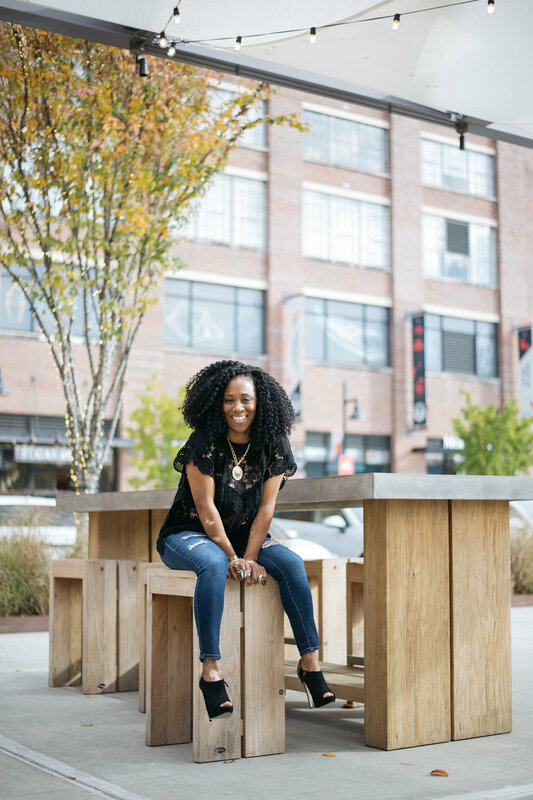 You just have to list your needs, formulate a plan, and allow yourself time to find the pieces you need at the prices that will fit your budget. Sara--no need to drop the "did I tell you about March 1st?" hint anymore.